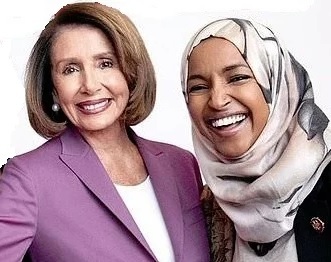 On Sunday, Speaker of the House Nancy Pelosi (D-CA)c stepped up her attacks on President Trump as she alleged that President Trump was inciting violence against Representative Ilhan Omar’s widely known and publicized anti-Semitic statements and attacks on Jewish Americans, and trivializing the September 11, 2001 terror attacks against New York’s World Trade Center, and the American people! Then Sunday, Speaker of the House Nancy Pelosi (D-CA) issued a statement, not condemning Ilhan Omar’s anti-semitic hate speech or her trivialization of September eleventh! Instead, she stood behind Omar’s comments, and claimed that Omar was receiving death threats and that the President was responsible! In fact, although Pelosi dismissed Omar’s attack on 9-11 victims citing “Some people did something, she called Trump’s video “disrespectful and dangerous”. Then, Pelosi claims that she had directed the Sergeant-at-Arms to conduct a security assessment for Omar, her staff and family, not because Omar made comments that made it appear that she was justifying al Qaeda terrorists, which might anger Americans, but because she was afraid President Trump was inciting violence against her for calling out her hateful, insensitive, and what appears to be unAmerican comments! Quickly, after Pelosi issued her statement, the Mainstream Media, and even Omar herself began attacking the President as inciting violence! 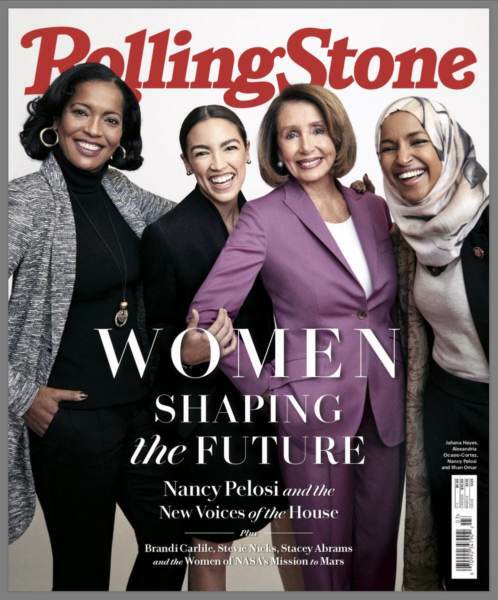 Still, nobody throughout the left, nor the Mainstream Media condemned Rep. Ilhan Omar’s hate speech, her anti-Semitic rants, or her embracement of terror-tied organizations like the Muslim Brotherhood, whom she called for Egypt to release one of their jihadists! Not one of them called out her warm embrace of CAIR, who has proven ties with the terror organizations like the Muslim Brotherhood, and HAMAS! Noone on the left or Mainstream Media has even called out her trivialization of the 9-11 attacks, or her making Muslims out to be the victims, rather than those who actually died or lost loved ones! Now, as Rep. Ilhan Omar (D-MN) claims to be receiving death threats, she is blaming it on President Trump for calling out her divisive and hateful comments and speech, rather than on her speech itself! Now, as President Trump visits Minnesota on Monday for a business roundtable discussion in the town of Burnsville, just south of Minneapolis, the Muslim rights group and terrorist-tied organization CAIR held a rally in support of Rep. Ilhan Omar (D-MN). Sadly, Democrats who continue to embrace racism, extremism, hate, and bigotry, claim that anyone who dares call them out, as YES, YOU GOT IT…RACISTS, EXTREMISTS, HATE-RIDDEN, AND BIGOTS! Now, the Democrats are trying to make anyone who dares call out their hate, their racism, their bigotry, and their anti-Semitism, as inciting violence and hate against them. Unfortunately, America has only begun to see the tip of the iceberg, as they incite hate and push divisions amongst Americans, as they fight to pit man against woman, the rich against the poor, blacks against whites, minorities against non-minority, parents against their children, women against men, non-gendered against gendered, Christians against non-Christians, and a multitude of other divisions, as they work to divide and conquer, as to fundamentally transform America into a Marxist based Fascist nation, rather than the land of the free!